INEC to redistribute 1.4m unclaimed PVCs in Lagos – Royal Times of Nigeria. 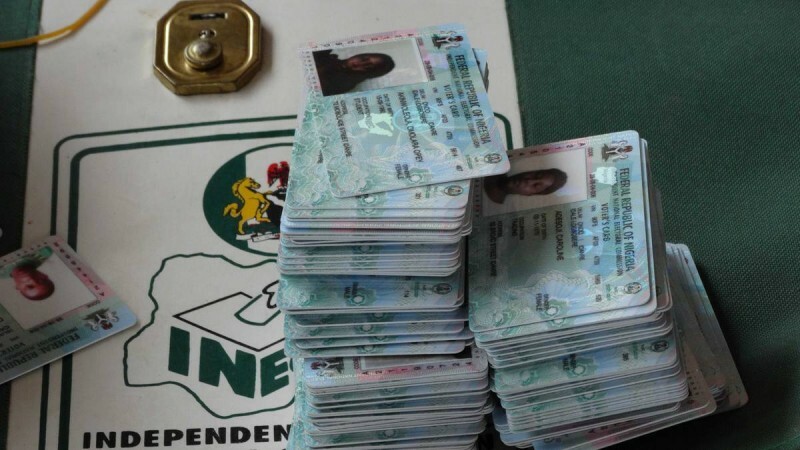 The Independent National Electoral Commission (INEC) in Lagos State on Friday said that it was making plans to redistribute the unclaimed 1.4 million Permanent Voter Cards (PVCs) in the state. Mr Sam Olumekun, the Resident Electoral Commissioner in the state, disclosed this in a telephone interview with the News Agency of Nigeria (NAN) in Lagos. “We are actually working out a new strategy,” the INEC boss told NAN, as he explained the commission’s plan to redistribute the permanent voter cards. Olumekun, who expressed concerned over the number of uncollected PVCs in Lagos state, urged the owners to go to INEC offices in their local government areas for collection. NAN reports that Lagos state has the highest number of unclaimed PVCs in the country. INEC had said that it was still in possession of 7,920,129 permanent voter cards yet to be collected from its offices across the nation. A breakdown of the uncollected PVCs as at March revealed that Lagos had the highest number of 1,401,390 followed by Oyo with 647,586 and Edo which had 449,001 while Kano had 195,941. The figure also showed Bauchi State as having the least number of uncollected PVCs, 15,542, followed by Bayelsa and Plateau which had 28,533 and 25,300 cards respectively.